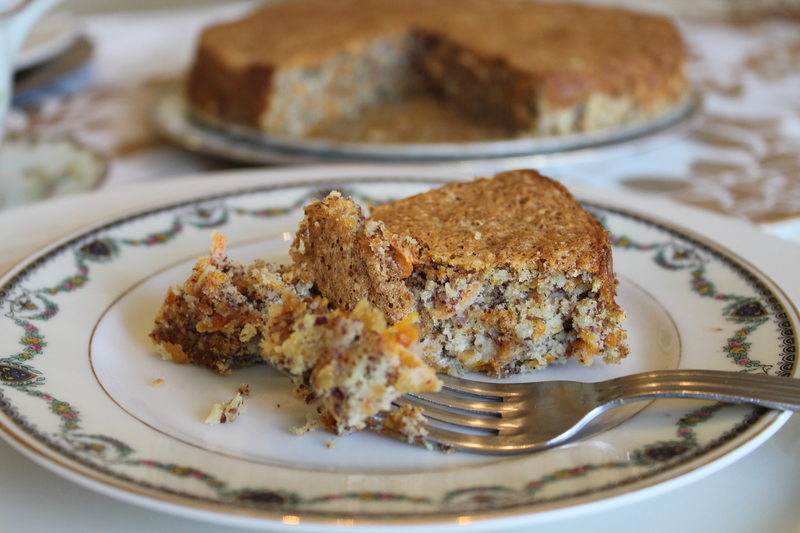 Made with tender sweet carrots, coconut, and almonds–it’s so rich and moist, it’s hard to believe it has no butter, and is gluten-free. If you want, drop a dollop of crème Chantilly on it. A thin layer of cream cheese icing would not be such a bad thing either, though personally, I like it au naturel. It’s a perfect dessert for Passover, or afternoon tea, and if there is any leftover in the morning, it’s ok to indulge in a slice for breakfast.